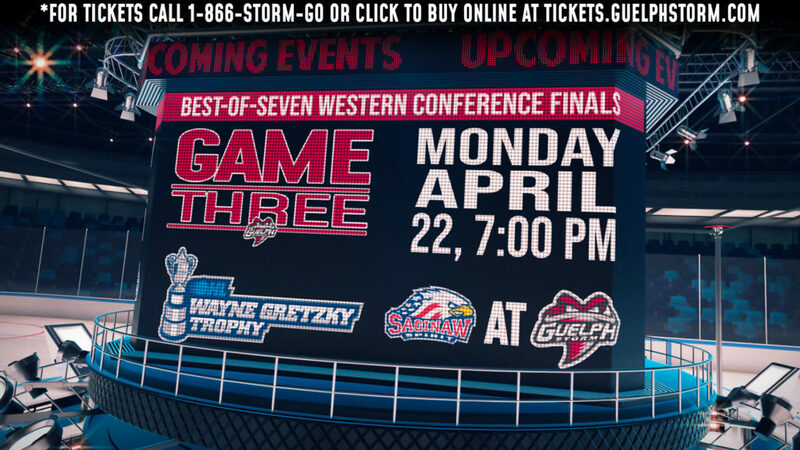 The Guelph Storm and the London Knights will play game 6 on Saturday April 13th at 7:00pm at the Sleeman Centre after the Storm took care of business in London on Friday evening. 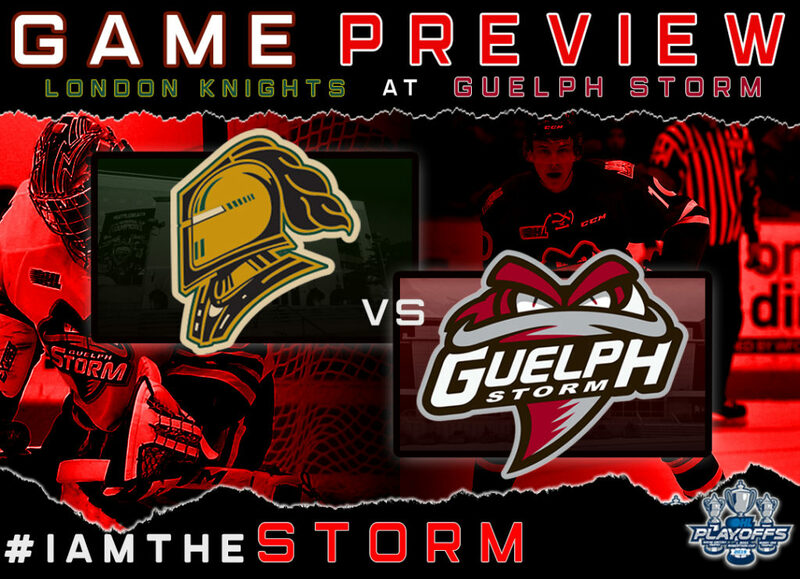 Guelph is heading into game six on a winning streak after winning games 4 and 5 to continue the series against the Knights. Game one of the series went to the London Knights as they were able to hold on to a 3-2 win at Budweiser Gardens. London then went on to score 7 goals in back to back games to give themselves a commanding 3-0 series lead heading into game four in Guelph. 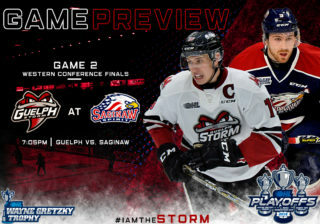 The Storm played a strong game four and won the game 4-3 to push the series to game five in London, which the Storm were able to play some of their best hockey as a team this season and win 3-1 to force a game six at the Sleeman Centre in Guelph. 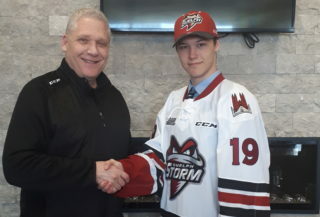 MacKenzie Entwistle was acquired by the Storm back in January and collected 15 goals and 15 assists in 28 games with Guelph to give him career high totals in goals, assists and points. Entwistle has had a good post-season with the Storm by scoring 3 goals and 5 assists in 9 games thus far, and will need to continue his dominant two-way game for the Guelph Storm to win this series. Kevin Hancock was acquired by the Knights in January of this year in a trade with the Owen Sound Attack and finished his regular season with 52 goals and 57 assists for 107 points. 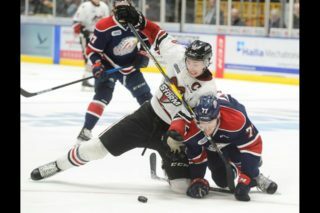 Kevin finished round 1 of the playoffs against the Windsor Spitfires with 1 goal and 3 assists in the four game sweep. So far in the second round against the Guelph Storm, Hancock has collected 4 goals and 3 assists in 5 games bringing his totals to 11 points in 9 playoff games thus far.